Saturn Wealth can help make your vision for the future a reality. Saturn Wealth can help you successfully transition as you approach each stage of life. Throughout your career, it’s important to find ways to help maximize the value of your earnings. We take a comprehensive approach to diversifying your portfolio through various asset classes in a way that matches your specific level of risk tolerance. As your working life winds down, it may make sense to shift your focus from a more aggressive approach to one of conservative growth. 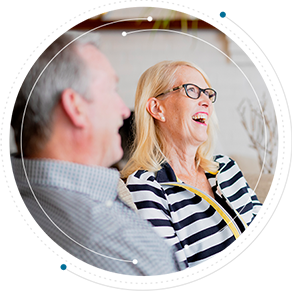 We can advise you on how to help preserve your assets to proactively prepare for the retirement lifestyle you deserve. One of the most challenging aspects of planning can be ensuring you don’t run out of money, even if you live longer than anticipated or incur unexpected expenses late in life. We’ll help you develop an income plan that accounts for all of life’s what-ifs. Fill out the form below to be placed on our mailing list. future is not an easy task. Developing a concrete plan could mean the difference between working longer than you anticipate and enjoying a comfortable retirement. At Saturn Wealth, we are committed to making you and your goals our priority. We are a team of honest, hardworking professionals with a fiduciary duty to keep your best interests at heart. If you want to work with someone who listens, understands and cares, give us a call. We would love the opportunity to analyze your current situation and identify how to help improve your short- and long-term outlook. We pride ourselves on turning complicated financial topics into easy-to-understand ideas. It never hurts to get a second opinion, and you might just learn something.